It is hard to express the unique and important role that Mahavatar Babaji, Jesus Christ and Paramhansa Yogananda have for the spiritual development of our planet. To help explain this, let’s start with a brief understanding of each of these great souls. “The northern Himalayan crags near Badrinarayan are still blessed by the living presence of Babaji, guru of Lahiri Mahasaya. The secluded master has retained his physical form for centuries, perhaps for millenniums. The deathless Babaji is an avatara. This Sanskrit word means “descent”; its roots are ava, “down,” and tri, “to pass.” In the Hindu scriptures, avatara signifies the descent of Divinity into flesh. Great prophets like Christ and Krishna come to earth for a specific and spectacular purpose; they depart as soon as it is accomplished. Other avatars, like Babaji, undertake work which is concerned more with the slow evolutionary progress of man during the centuries than with any one outstanding event of history. Such masters always veil themselves from the gross public gaze, and have the power to become invisible at will. For these reasons, and because they generally instruct their disciples to maintain silence about them, a number of towering spiritual figures remain world-unknown. “The peerless master moves with his group from place to place in the mountains,” Kebalananda told me. “His small band contains two highly advanced American disciples. After Babaji has been in one locality for some time, he says: ‘Dera danda uthao.’ (‘Let us lift our camp and staff.’) He carries a symbolic danda (bamboo staff). His words are the signal for moving with his group instantaneously to another place. He does not always employ this method of astral travel; sometimes he goes on foot from peak to peak. “Babaji can be seen or recognized by others only when he so desires. He is known to have appeared in many slightly different forms to various devotees — sometimes without beard and moustache, and sometimes with them. As his undecaying body requires no food, the master seldom eats. As a social courtesy to visiting disciples, he occasionally accepts fruits, or rice cooked in milk and clarified butter. In my present position as Director of the Inner Path Yoga and Meditation Center of Nevada City, California, I have had many occasions of souls coming to me sharing their visions and experiences that have come directly from Babaji himself, or through one of his teachers. From these experiences, I have come to understand the all encompassing role he plays in people’s lives in both personal and global terms. Because of this, I follow his wishes to establish the Kriya Yoga Fellowship and bring his students together in spirit and in form. 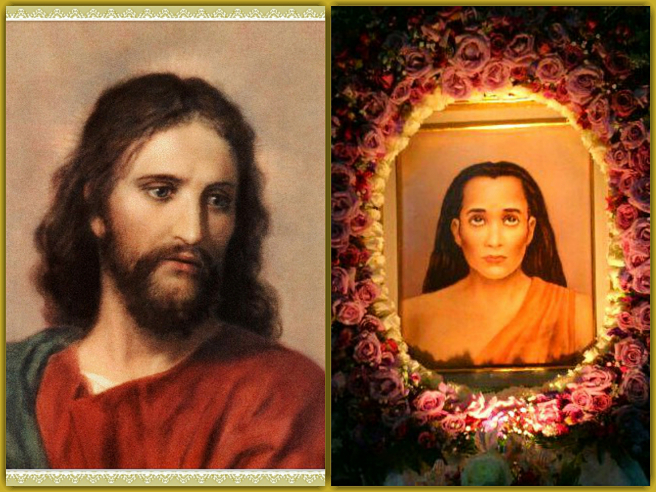 It is said that Mahavatar Babaji oversees primarily the spiritual development of the East, and Jesus Christ the spiritual development of the West. Jesus’ concern, and one of the reasons he wanted to send an eastern teaching to a basically Christian country, was that his students had lost the sacred art of inner communion. Through the teachings of Kriya Yoga and other similar techniques, that lost art of attunement with our True Self and our Creator can be regained. In the United States and many other countries as well, Paramhansa Yogananda is the most recognized teacher of Kriya Yoga, and for good reason. His classic writing, Autobiography of a Yogi, is one of the most widely read books on the subject of yoga, and is possibly more popular now then when it was first published, over 70 years ago. He was one of India’s first emissary’s of yoga to the United States and his influence on the teaching of yoga in the U.S. seems only to grow as the years go on. To teach a means of inner communion with Spirit through the practice of Kriya Yoga. To share the teachings of Sanatana Dharma (Eternal Truth) as expressed in the Bhagavad Gita. To explain the original teachings of Jesus Christ as expressed in the Holy Bible. Through these three writings Yogananda awakened the world to unknown possibilities of consciousness and the proven fact that each of us can find our individual Oneness in Spirit. He explained the timeless spiritual truths as described in the Bhagavad Gita, a wonderfully inspiring and instructional treatise on the spiritual life. And lastly, and vitally important, he provided a clear spiritual understanding of the teachings of Jesus Christ, including the “lost years” from age 13 to 30, and while doing so, showed the unity of Christian and Eastern teachings and how they can be used for the upliftment of our souls and the betterment of the world we live in.